Khalilzad’s unwanted reappearance is not really about “peace.” With presidential elections in a few months time, projected to be President Mohammad Ashraf Ghani’s demise, it is about “kingmaking:” influencing the selection of election candidates. In a press conference in Kabul, Khalilzad overemphasized that his “assignment” as an “American,” albeit a Pashtun national of Afghanistan by birth, was to “facilitate intra-Afghan” peace talks, in which a “roadmap” was needed. The last time Khalilzad came with a roadmap for Afghanistan was at the 2001 Bonn Conference in Germany. That tribal roadmap did not only lead Afghanistan to the current crisis, it also landed its destiny and the U.S. mission into Khalilzad’s hands. Hence, Khalilzad lobbied for the expansion of the U.S.-led Operation Enduring Freedom to a patron-client imperial “civilizing mission” in Afghanistan. 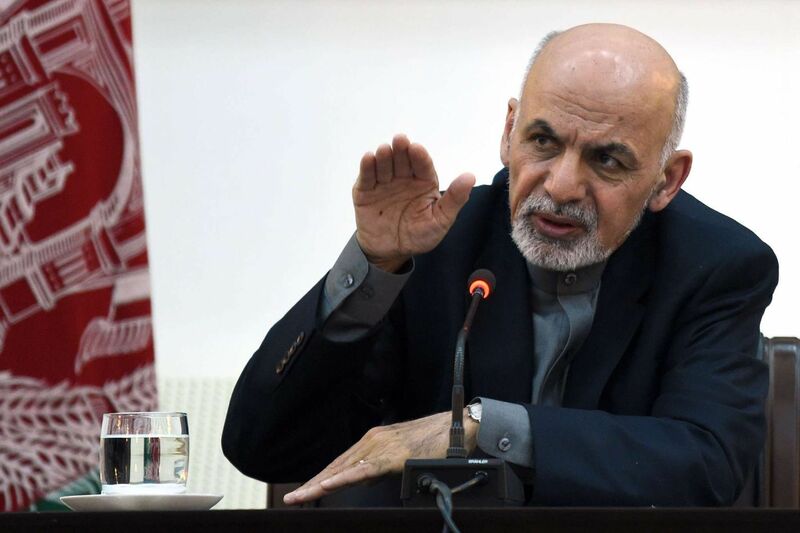 Otherwise, an alliance with the late President Burhanuddin Rabbani’s government defeated the Taliban in matters of weeks. Without boots on the ground and only with the U.S.-led intelligence and airpower supports, the “Northern Alliance” forces chased the Taliban out of Afghanistan and into Pakistan. It was mission accomplished for the U.S. by the end of November 2001. I was an eyewitness of Operation Enduring Freedom throughout October and November 2001. The scars of an injury I suffered during that war are a constant reminder of the conflict and made those days a living memory for me. After Afghanistan was freed from terrorism, the U.S. could have continued supporting the Rabbani government to make democratic transitions. Instead, decisions were made for full-fledged invasion after the Bonn Conference in December 2001. Consequently, the U.S. put thousands of boots on the ground and made Khalilzad the U.S. President Special Envoy and Ambassador to run Afghanistan like a kingmaker. By 2002, Khalilzad was the most powerful power broker in Afghanistan (sitting on billions of U.S. funds and having the support of thousands of American armed forces) to begin his adventure of leading a tribal “state-building” process in Afghanistan. While controlling all powers behind the scenes, he used fellow tribesman and former “President” Hamid Karzai as a political front to instigate systematic elimination of the anti-Taliban forces (predominantly non-Pashtuns). 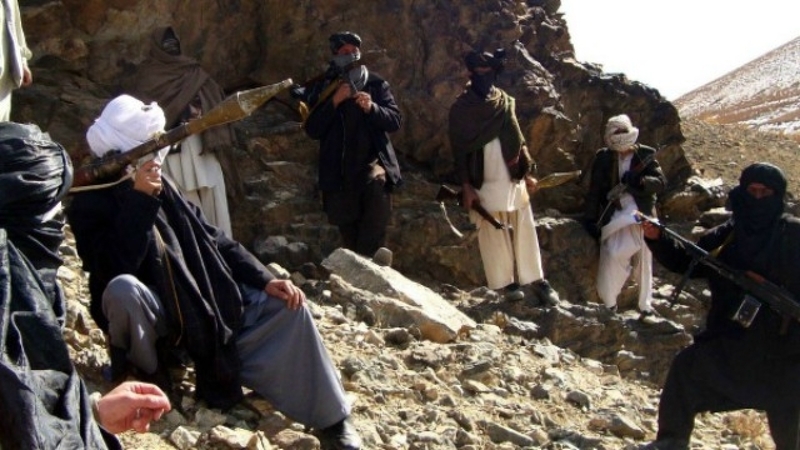 Major anti-Taliban personalities, including the late President Rabbani and the Vice President Marshal Fahim, were either assassinated or died of “natural causes.” The remaining ones were turned into corrupt tribal cronies only to be used as political instruments when needed, albeit introduced as “warlords, drug lords, and criminals” to the international community. This way, Khalilzad’s kingmaking was justified in the eyes of his international patrons, allowing him to enjoy the freedom of choosing whoever he desired. The systematic elimination of the anti-Taliban forces under the guise of “state-building” meant the orderly resurgence of the Taliban in Afghanistan. In fact, after the “Bonn Agreement” and the transition of power from Rabbani to Karzai in December 2001, the Taliban were left alone. The nature of the U.S.-led military operation shifted from an offensive war to a defensive “state-building” mission. The U.S.-led international forces attacked the Taliban only when this terrorist group attacked them. Even in that case, the international forces would receive blames for bombing “civilian villages.” It was like giving the Taliban undeclared protection. When the Taliban, predominantly from the same ethnic group as Khalilzad, captured Kabul in 1996, Khalilzad celebrated that “victory” with an opinion piece in The Washington Post, in which he echoed his tribal claims like “the Pashtuns” welcoming the Taliban as “a cure for years of brutal anarchy” in Afghanistan. Pashtuns are one of the many ethnic groups of multi-ethnic Afghanistan. Prominent Pashtun leaders like Abdul Rasul Sayyaf, the late Haji Abdul Qadir, and many others were fighting against the Taliban under the leadership of President Rabbani at the time. In his opinion piece of 22 years ago, Khalilzad urged the U.S. government “to offer recognition and humanitarian assistance [to the Taliban] and to promote international economic reconstruction.” He urged to “use as a positive incentive the benefits that will accrue to Afghanistan from the construction of oil and gas pipelines across its territory.” At that time, the “internationally recognized” government of Afghanistan was the Rabbani administration, which existence Khalilzad avoided to mention in his article. The following year, Khalilzad appeared as the contact person with the Taliban for Unocal, a huge California-based oil company. “In a late 1997 public relations move, Unocal flew Taliban officials to tour the company’s U.S. offices. They took a side trip to the beach, then flew to Washington for meetings in the Capitol and at the State Department to press their case for U.S. recognition,” The Washington Post wrote in 2001. This occurred all while the Taliban was harboring Osama bin Laden and allowed him to use Afghanistan to plan and execute his global terrorist activities like the 1998 U.S. Embassy bombings in Africa and the 9/11 attacks. 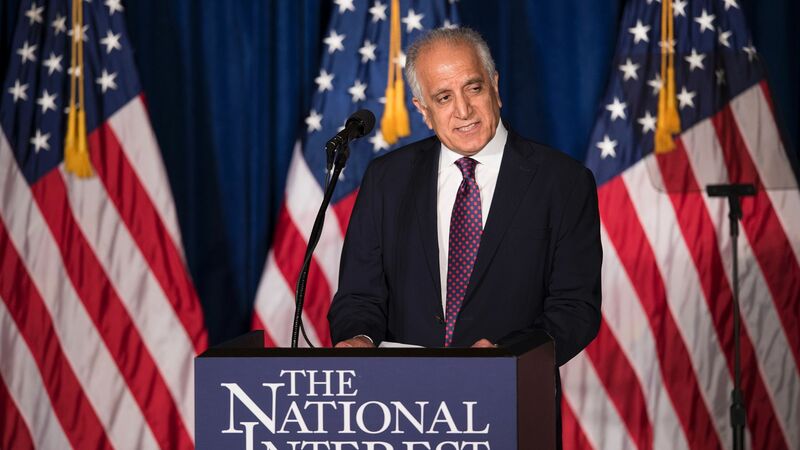 Despite his dark and pro-Taliban track record, Khalilzad is back as the U.S. “peace envoy” to lead secret talks with the Taliban as “an impartial peace mediator” in a time that the American corporate empire is in search of a new client-king in Afghanistan. Peace and Afghanistan seem to have become eternal enemies since the people of Afghanistan watch individuals like Khalilzad shape their future. 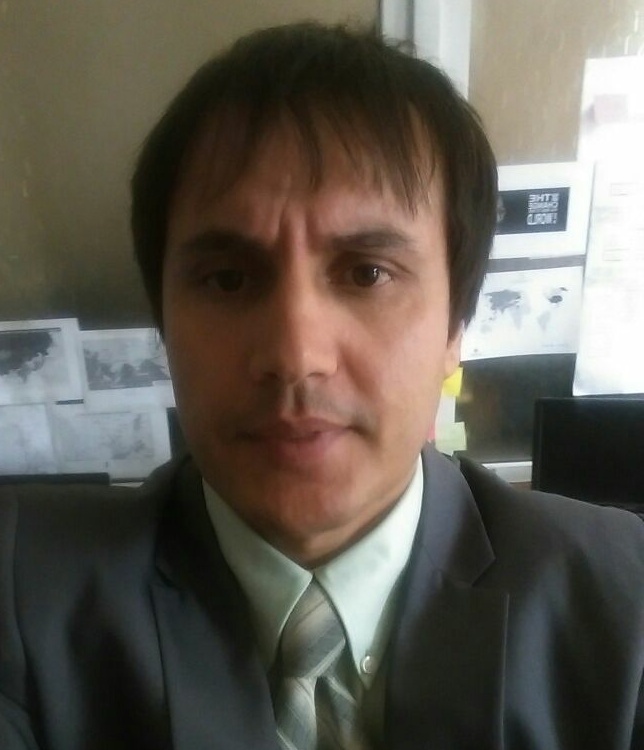 Without the rise of the people and a change of heart at the U.S. government, the next “Afghan president” (most likely a Taliban sympathizer if not a Taliban member) is someone in the making by the kingmaker whose task would be to contain the people while serving the patrons.